It’s probably the most common problem faced by business owners using social media and blogging for their business: What am I going to say? What can I post that is topical, interesting and valuable? Stoked with enthusiasm and lots of great ideas, they start blogging, posting and tweeting away. But that’s like hopping into a car and expecting to drive forever. Everything goes along smoothly until the fuel runs out. Sooner or later all those great ideas run out and the struggle to find something new and relevant to say begins. It’s a big reason why so many company blogs and social media accounts are abandoned. The problem starts before you begin publishing content online. Your online publishing will enjoy a more successful start and have a better chance of surviving if you begin by developing streams of information that serve as ongoing sources for ideas and research. As an added benefit, not only will information streams keep your content fueled, they’ll keep you more engaged in what others are saying and doing online, which helps your content even more. 1. Web Searches & Alerts: Simple web searches are a fast easy way to find sources of information for your posts. But it can get very time consuming each day to search for new information relating to your keywords or areas of interest. Tools like Google Alerts and Yahoo Alerts monitor the web for you and alert you, by email or through RSS news feeds (see below), every time a new piece of information relating to your keywords is posted to the web. Instead of you going out to find information for your posts, alerts send that information to you. 2. Content Aggregators: As you monitor the web, you will find favorite sources that publish relevant content all the time. Combing through your bookmarks to find them gets annoying. Using RSS (Rich Site Summary, or sometimes Really Simple Syndication) news feeds assemble feeds from different sources, including Google and Yahoo Alerts, into one place so you can scan all of them at once to find items of interest. RSS is common on most online publishing sites – look for the familiar orange icon. There are a number of good aggregators on the web. Feedly.com is the most popular, but others include NewsBlur, DiggReader and Newsvibe. Bonus Tip: Before deciding on an aggregator, check out its mobile app. Your time is limited and a good mobile app makes it easy keep up-to-date anywhere, anytime. 3. Hashtags: It used to be that #hashtags were used almost exclusively on Twitter. But they proved so popular as a way to keep track of conversations and find information that all major social media platforms, including LinkedIn, Facebook and Google+, now use hashtags. Hashtags are a great way to see what’s being said at the moment about your areas of interest. Bonus Tip: It can be time consuming to jump from one social platform to another to track hashtags. Try social media management tools, like Hootsuite, that let you track hashtags on different social platforms from its dashboard. 4. 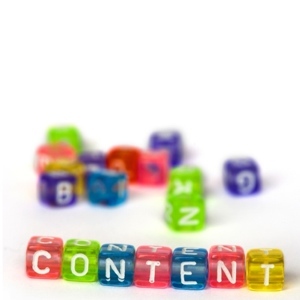 Your Own Content: Every blog or social media post you write presents an idea or thought that can be expanded upon. If you’re ever stuck for something to post, look to your previous posts and expand on the ideas they present. This works especially well for your blog. Every post you write is full of ideas for subsequent posts. Check this post, the one you are reading right now. Entire new posts can be written around the opening paragraphs or any one of the three points presented. Your first step to successful online publishing isn’t to start publishing. It’s to ensure you always have something to publish. Developing reliable streams of information will make sure you do.